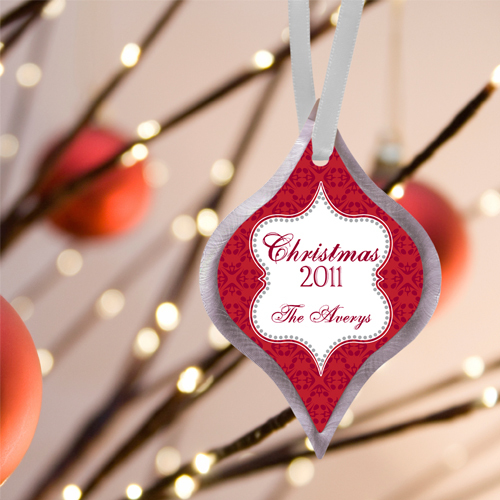 * Offered in a variety of colorful designs, our fun and fanciful line of Personalized Christmas Ornaments are a welcome addition to any tree. * Great gifts for families, couples, babys first Christmas or anyone on your list. 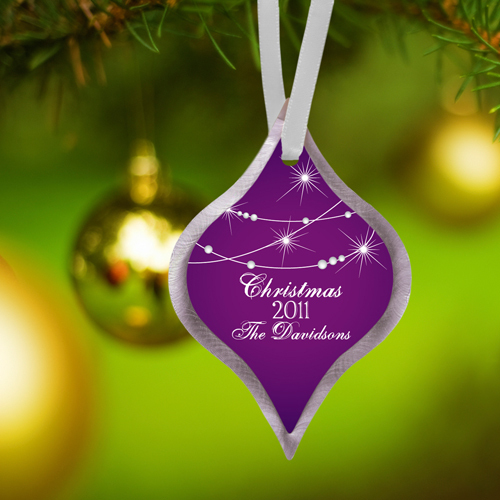 * These ornaments feature a graceful, classic shape with a modern raw brushed silver border for a wonderful finished look. * Choose from various magical images of the season. * Ornaments measure 4" x 2 3/4". 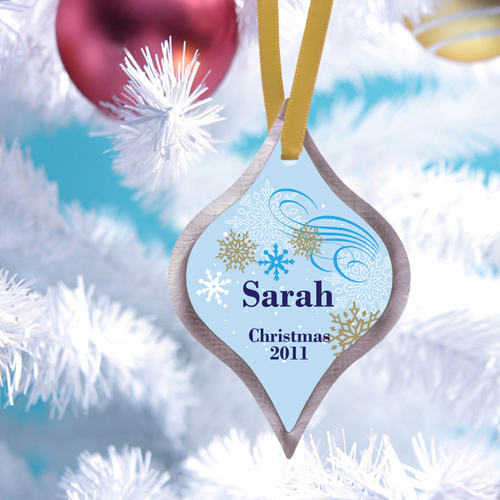 * Customize each ornament with Personalization of up to three lines up to 20 characters per line. * Note: 3 lines of open text, 'Christmas' and 'Year' are not standard. * Font is as shown for each line. 4" x 2.75" x 2"